Today the first road section from Nereta in Latvia to the border of Lithuania that was reconstructed within the project “Easycrossing” was officially unveiled. It is expected, that due to this commuting of local people between Latvia and Lithuania will become quicker and more convenient, which will contribute to the increase of the cross-country employment in the region. During the project three Latvia-Lithuania cross-border region road sections of 45 km total length will be improved. All road repairs carried out within the project must be completed by summer 2019, however it is planned to complete repairs in almost all road sections already in the fall of this year. 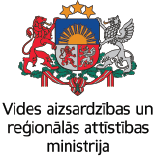 The agreement on cooperation between the State Roads of Latvia and the Lithuanian Road Administration was signed in February this year. The project is funded under Programme’s direct award procedure and its total budget is 10,58 million EUR. Approved ERDF co-financing is almost 9 million EUR. The newly opened restored road section from Nereta (Latvia) to the border of Lithuania is more than of five kilometers length, and includes the sections of the state motor road Jēkabpils-Lietuva (Nereta) (P75) from 56.09. to 60.50. km and the national road Nereta-Sleky (V961) from 0.00. to 1.20 km. A splinter leveling layer was constructed and a 3.5-fold double surface treatment was performed, which resulted in the entire pavement being covered with black cover. The dividing strip is cleared of shrubs, the water supply is arranged – ditches are excavated and eleven trenches are built. The cattle tunnel at this stage has also been renovated. Reconstruction costs are 1 452 480 euro, of which 85% are financed by the Programme. 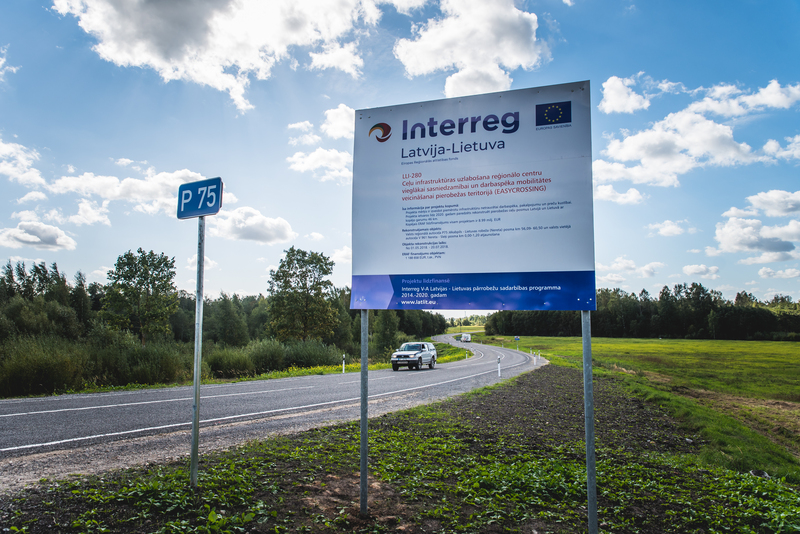 – Jēkabpils-Lithuania border (P75) from 56.08 to 60.50 km and Nereta-Sleķi (V961) from 0.10 to 1.15 km, where after the surface treatment gravel pavement will be replaced by black cover. – Pandelis-Suvainiškis-Latvian border (3647), from 13.3 to 18.3 km.